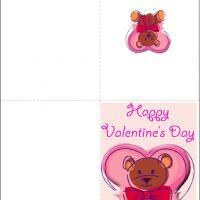 On Valentine's day send your greetings to your loved ones through this bear and heart themed valentine card. The message on it may be a bit cheesy, but it is certainly in the spirit of the day! 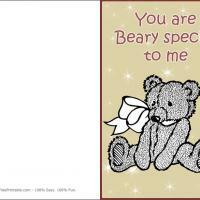 The bear on this card is well detailed and almost looks soft enough to hug! You may want to make sure there is a bear attached to this card just to make sure the recipient has something to hug other than you! 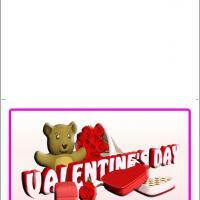 This half page card will delight your loved one with its cute design. Print this and make sure to add your message inside. It's an ideal card not only for adults to give to each other, but it's also great for kids and for families to pass around. 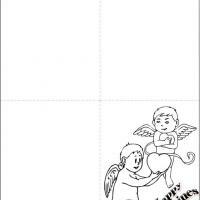 Spread the love; print this card today!